The way festivals are celebrated in India, one can see the cultural heritage of the country. Being a society of different religions there are many festivals celebrated in a calendar year in India. Every festival has its own beliefs and rituals. 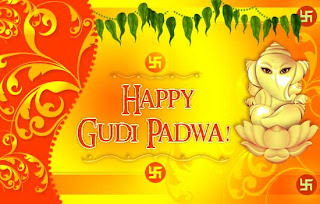 Come March 23rd 2012, people will be celebrating Gudi Padwa in Maharashtra. 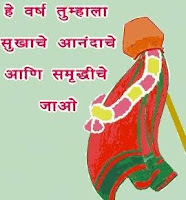 Gudi Padwa is celebrated on the first day of Chaitra month to mark the beginning of New Year according to Hindu calendar. Gudi Padwa is also known as Samvastar Pavdo in some parts of Goa, Ugadi in Andhra Pradesh, Yugadi in Karnataka and Cheti Chand among Sindhis. This festival is celebrated with so éclat that one could feel the spirit and joy all around. On this day one could see people cleaning their houses with holy water of the river Ganges and putting on Rangoli designs on door steps. People hoist gudis outside their houses and localities. A gudi is a pole that is covered with colorful silk cloth, decorated with coconuts, mango leaves and marigold flowers and upturned silver or brass pot also called kalash. One could also see people purchasing gold ornaments and property on Gudi Padwa, as it is considered as an auspicious day. Panoramic Universal Limited wishes each and every one of you a very Happy Gudi Padwa. We wish everyone success on this propitious day.